The budget smartphone company Intex smartphone market cracked new price war has begun. 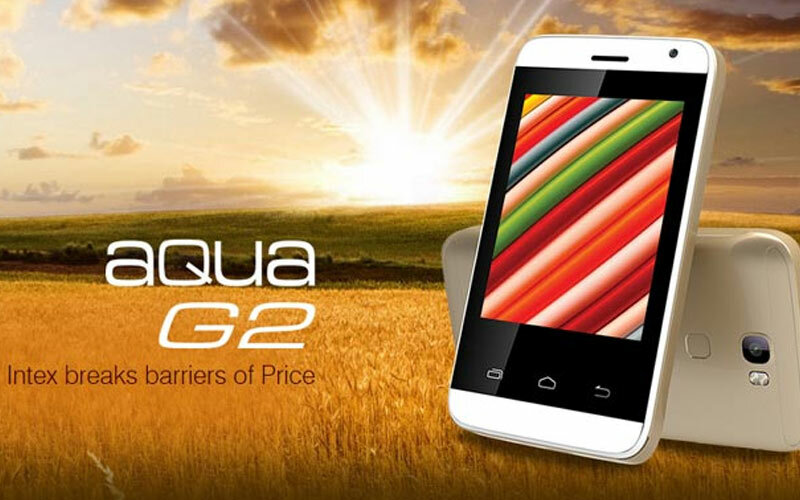 The company in India has launched the most affordable smartphone Aqua G2. The company Rs 2,000 less than the price of the smartphone is priced at Rs 1990. Given the price of this phone specifications are quite basic, such as the first-time user or a very low-cost phones to smartphones is a great option for users who wish. Intex Aqua 2.8 g 2-inch TFT display of the phone. This single-core processor and comes with 256MB of RAM. This phone comes with 2G connectivity. Intex's cheapest smartphone runs on Android 4.4.2 Jelly Bean. Aqua G2 512 MB RAM. According to Sanjay Kumar Klirona Mubail business head of Intex Aqua G2 which is yet to feature for mobile users who were operating, and want to upgrade to a smartphone. We believe that this price Aqua G2 will help to increase our share of the phone market.